Pedestal mount with MultiMoveClip. Total hight: 138 mm. Round mounting plate with diameter 100 mm, thickness 9 mm, 6 holes. Fits for all Brodit holders with tilt swivel, perfect for a firm installation. The MultiMoveClip allows for easy use of different holders since you can switch in only matter of seconds. 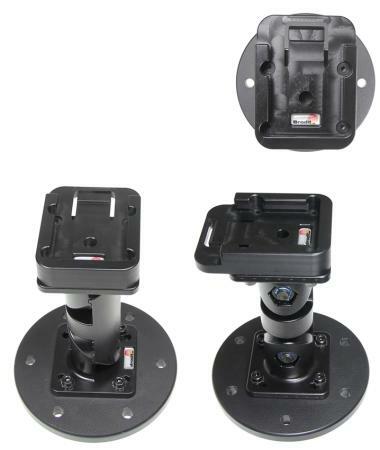 The angle of the Pedestal Mount can be changed as desired.